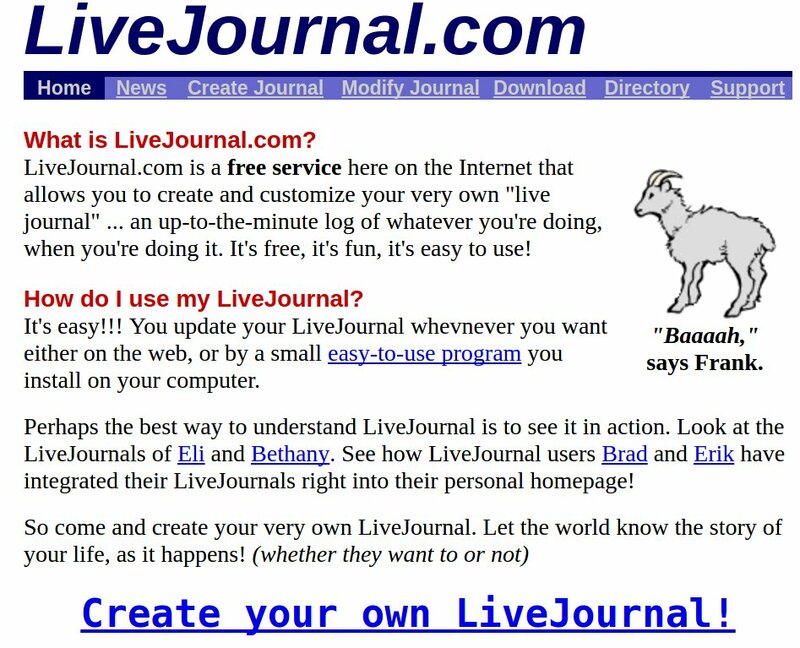 Mitch Wagner writes, "LiveJournal is a venerable online community that predates Facebook and even blogging. It got acquired by a Russian company a few years ago, but some of its American and British users hung on, including sf and fantasy writers and fans. Lately, I know one of my friends was scrambling to leave, but I'd been too busy to look into why." "Now I know: LiveJournal changed its terms of service to require obeying Russian law, which requires "protecting" minors from discussing "sexual deviancy" -- LGBTQ issues. This is evil. I agree with many political pundits that it's better to coexist with Russia than to go war, even seek common ground where possible. And I agree that much of the current hostility to Russia in Washington, D.C., is cynical politicking by people who are using Russia panic to gain advantage. But this is evil. " I probably stuck with LJ for too long, because back in the day I paid for a perpetual premium account—unlimited access and no ads: the urge to get one's money's worth out of something you've paid for is hard to resist. But the rot has finally gone too far. This Tuesday Livejournal pushed out a revision to their terms of service that emphasize the service runs under Russian law, and specifically requires compliance with Russian law on minors—which makes any discussion of "sexual deviancy" (aka LGBT issues) illegal or at least a violation of the ToS. So I'm currently migrating my entire Livejournal presence to Dreamwidth, a service set up by some of LJ's original founders that focuses on providing a Livejournal-like set of services for creative types (and, significantly, is not subject to Russian law because it's not based in Russia).